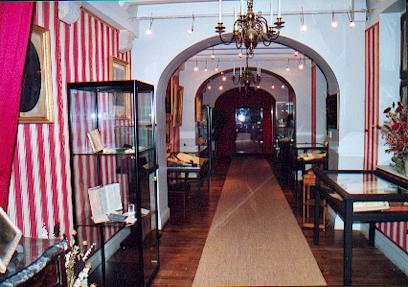 Next to the French National Library in Paris, the most important archives collection related to George Onslow is to be found at the castle of Aulteribe (France, Puy-de-Dôme). 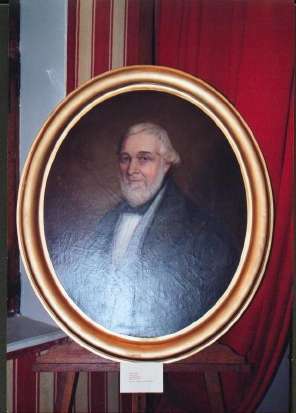 The second daughter of the composer (Henriette) maried the marquis de Pierre in 1833, owner of Aulteribe estate : when her father died, she inherited a number of documents from Onslow which were forwarded to her descendants until the XXth century. Those archives include letters, scores, XIXth century press articles, family portraits and various personal belongings. The castle of Aulteribe is from now on a public monument which belong to the state : therefore, these archives are at the searchers' disposal. To celebrate the 150th anniversary of George Onslow's death, Jean-Pierre Jourdan, the Aulteribe castle's curator, designed and realised a superb exhibition which allowed the visitors to see for the first time some aspects of this collection : it was opened in july 2003 until the end of the autumn. We invite you to watch a selection of exclusive views of this exceptional exhibition ; we wish to thank Jean-Pierre Jourdan, Laurence Vignal and the Aulteribe castle's staff who kindly provide these photos which allow to keep the memory of their work. 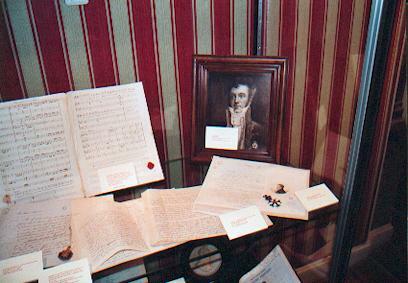 Bust and portrait of George Onslow ; letters and scores ; medals (Légion d'Honneur). 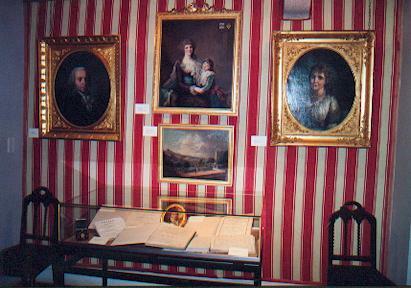 left : various portraits (among which that of Onslow and his mother). right : the composer's travel bag. 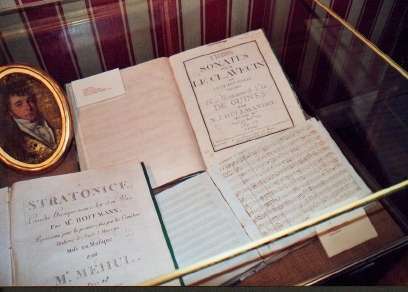 left : Onslow's portrait (young) ; harpsichord Sonatas opus 4 by Hüllmandel ; the score of Méhul's opera Stratonice. 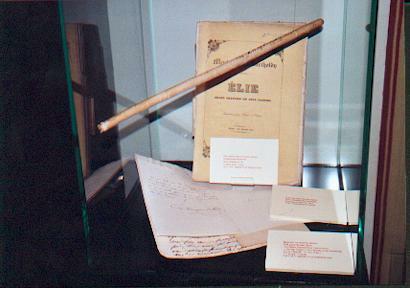 right : the score of Mendelssohn's Elijah ; Mendelssohn's letter to Onslow ; the conductor's baton Mendelssohn offered to Onslow. 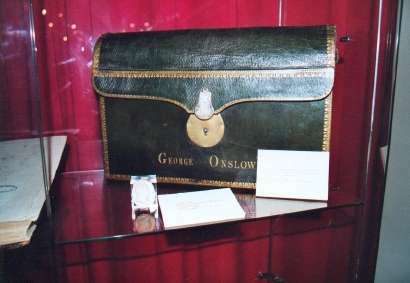 Each year, the Journée Onslow offers the opportunity to visit a temporary exhibition devoted to George Onslow and his life in Auvergne : featured documents range from original 19th century editions of his works and time engravings to autograph letters and local archives. The content of this exhibition grows each year with the addition of authentic and rare items. 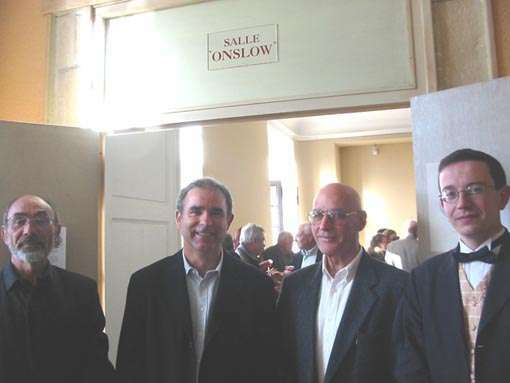 One of the highlights of this annual event's 2004 edition was the unveiling of a George Onslow hall in the current townhall of Pérignat-es-Allier where Onslow used to live for some years. Octobre 17th, 2004 : the George Onslow hall unveiling. 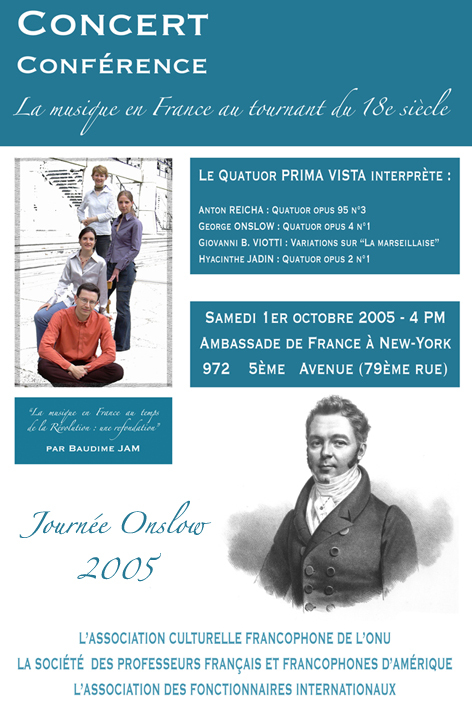 The 2006 Onslow day took place in New York, at the French Cultural Center, on the Fifth Avenue. 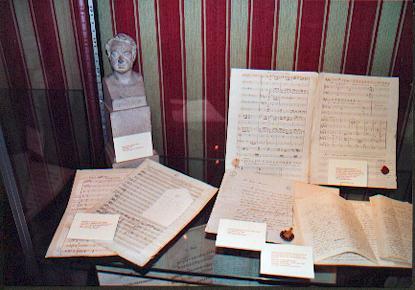 The Prima Vista performed works by Onslow, Viotti, Reicha and H. Jadin.